During the coldest months of the year, do you recall having chilled feet? Or in the warmest months do you feel like your cool air is escaping? The issue might be coming from right below us. Without proper insulation heat and cool air are easily lost through the floor. It is important to be sure that we have well insulated crawl spaces because it helps maintain our entire homes use of energy- trapping the heat and cool air inside rather than escaping. If you happen to have a ventilated space often times we find damp and wet areas. 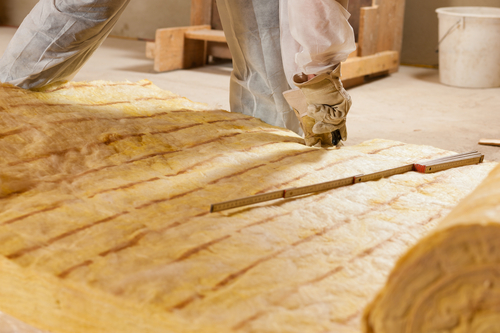 It is recommended to focus on installing fiberglass insulation under the subfloor between the floor joists. Its very important to look at installing a vapor barrier after the insulation to be sure not to have any issues with moisture or mold in the future. When our space is not ventilated, instead of insulating the subfloor above, we will insulate the walls of the crawl space. This actually requires less insulation to be used and you do not need to use insulation on the ceiling. To ensure both durability and energy a crawlspace must be kept dry, conditioned to control temperature and humidity, and sealed tight. Also, when our spaces our correctly sealed tight we can be confident that we shouldn’t be running into any pest problems. We can help you properly install the correct insulation for your crawl space and be sure to discard of any old insulation that may carry fungus, mold, mildew, and bacteria. Give us a call today so we can help you accomplish this. We will start helping you use your home energy efficiently and effectively.